Mark Stamper (born in North Carolina, US) comes to WYV with an impressive range of training and experience. As a pianist, conductor and music director he has worked with many big Broadway productions in the United States, and has directed a number of prestigious children’s and adult choirs across many genres. These include the Texas Boys’ Choir, and the Women’s Chorus of Dallas. However, his most recent posts include that of Music Director for the theatre program at Metropolitan State University and Artistic Director of the Northland Chorale and Colorado Repertory Singers. Mark now lives in Wellington with his partner, where he is the Artistic Director/Founder of the professional choir, Inspirare, directs the Wellington College and Queen Margaret College Chorales, and directs two community choirs: SYLO and FilCoro. 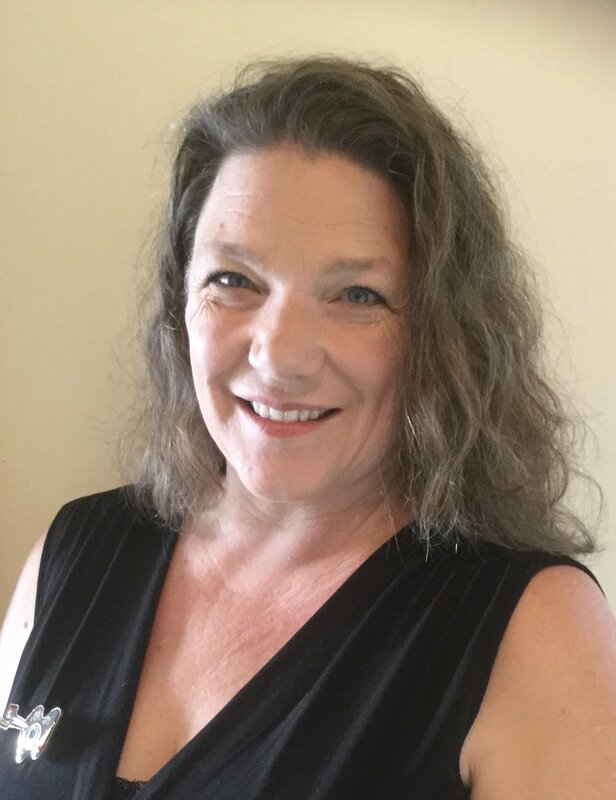 Jo holds Performance Certificates in Voice and Oboe and has taught music to children for nearly 20 years, bringing musical fun to hundreds of pre-schoolers as well as teaching singing to primary and secondary students around the Wellington region. A passion for musical theatre has seen Jo tour New Zealand in Evita, as well as taking on the roles of Grizabella in Cats for Wellington Musical Theatre, Mrs Noah in NZ Opera’s production of Britten’s Noye’s Fludde, and Octavia in Paul Jenden and Gareth Farr's The Nero Show at Circa. As a choral singer, Jo was a foundation member of the New Zealand Secondary Students Choir and has been a member of the New Zealand Youth Choir and Voices New Zealand chamber choir. She currently sings with Nota Bene, Baroque Voices and Inspirare. Rosemary studied piano with Rae de Lisle and has been an accompanist for a number of choirs including Wellington Youth Choir and Queen Margaret College Chorale. She has taught music for over 25 years in both primary and secondary schools and is currently HOD Music at Sacred Heart College in Lower Hutt. She has worked as a composer/director with children on several recordings and creative projects and some of her compositions are on the SOUNZ website. Rosemary directed the Festival Singers for nine years and currently assists and sings in both the Orpheus Choir and Nota Bene. Rachael brings to WYV her knowledge and experience as a trained teacher, along with her exceptional planning and organisational skills. She has a passion for working in the education sector and enjoys helping young people in their personal growth and educational achievement. In the past she has worked as a tutor and marker at Victoria University of Wellington. Currently, she works at Sacred Heart College as a music administrator and a teaching assistant. Rachael believes music is strongly connected to development and learning and has encouraged her three children to learn musical instruments during their schooling years. Suzi brings her extensive experience in the early childhood sector to this important role. Judy brings over thirty five years’ experience in music education in the primary, secondary and tertiary sectors to Wellington Young Voices. She founded and conducted the Mana Junior Choir when her own children were young and wanted to sing. As an HOD, she led the music departments at Aotea College, St Oran’s College and at Hutt International Boys’ School. She has also been a music advisor in the Wellington region and a lecturer at the Wellington College of Education. She chaired the Porirua Community Arts Council for six years until last year. Judy has been a member of a number of Wellington choirs, and currently sings with Nota Bene chamber choir. Now working as a free-lance researcher, teacher and environmental advocate, she feels privileged to continue her commitment as a founding committee member of WYV.